Wells Fargo customers no longer have to rely on their bank card if they want to make a withdrawal from an ATM. All they need is their mobile phone for any transaction using an ATM. 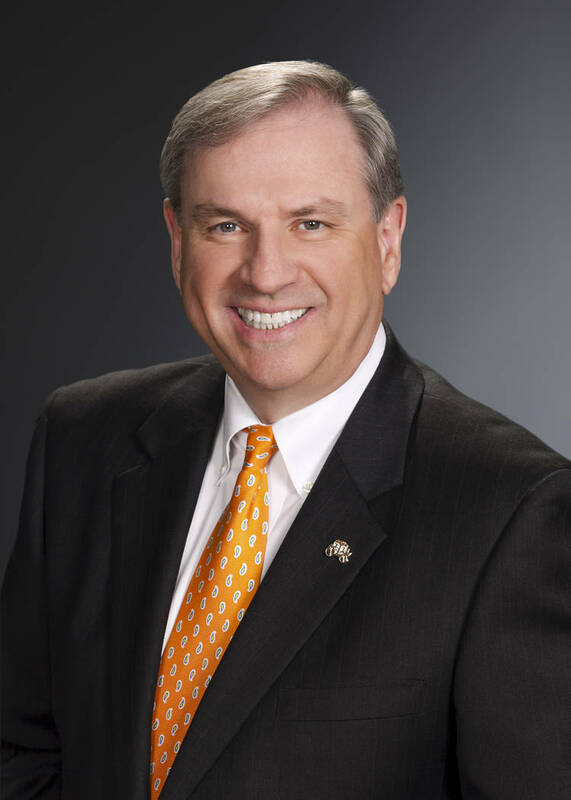 Kirk Clausen Wells Fargo Nevada region president. COURTESY Late last month, Wells Fargo launched its card-free ATMs for its 321 ATMs across Nevada as part of a nationwide launch for its 20 million mobile customers. Other national banks are expected to follow up with a similar program. COURTESY Wells Fargo’s aptly named One-Time Access Code technology allows customers to authenticate at an ATM using an 8-digit code and their debit or ATM card Personal Identification Number (PIN), instead of their bank card. Wells Fargo customers no longer have to rely on their bank card if they want to make a withdrawal from an ATM. All they need is their mobile phone for any transaction using an ATM. Late last month, Wells Fargo launched its card-free ATMs for its 321 ATMs across Nevada as part of a nationwide launch for its 20 million mobile customers. Other national banks are expected to follow with a similar program. Wells Fargo’s aptly named One-Time Access Code technology allows customers to authenticate at an ATM using an eight-digit code and their debit or ATM card Personal Identification Number instead of their bank card. Customers first log into the Wells Fargo mobile app, select card-free ATM access under account services, and request a one-time-use, eight-digit access code, Clausen said. When they arrive to the ATM, they enter the code and their debit PIN, then proceed to the main menu to perform their transaction, he said. Wells Fargo doesn’t hold account holders liable and reimburses them 100 percent if someone fraudulently uses their card or account, Clausen said. People have had their cards compromised from thieves who have used skimmer technology at ATMs or other places such as a gas station, Clausen said. Wells Fargo checks ATMs for skimmers on a daily basis to prevent thieves from stealing PIN and other information from the card during a transaction, Clausen said. Some customers have raised the question whether this means the end of the ATM card, but Clausen said he’s not sure of the future. It will depend on customer usage and what customers want, but the cards could remain as one of the options to do ATM banking, he said. Clausen said no one should be intimated by the technology and that it’s simple to use. He said he’s not technologically savvy and had no problem using it. The security is one benefit of using the ATM without their card, but there are also cases where an ATM could eat a person’s card or they forget to take their card when done with a transaction, Clausen said. Some cards can’t be used because they get demagnetized, he said. Wells Fargo spokesman Antony Timmons said customers wanted the technology, which continues to evolve. That has happened with such concepts as Apple Pay and Wells Fargo Pay, he said. In addition to the One-Time Access Code, later this year customers will be able to initiate a card-less ATM transaction with the “tap and pay” technology in an NFC-enabled smartphone, Timmons said. When this feature is live, customers will be able to initiate a transaction by signing into a leading mobile wallet (Wells Fargo Wallet, Apple Pay, Android Pay or Samsung Pay) and holding the phone near an NFC-enabled ATM terminal, he said. Once authenticated, customers will input their debit or ATM card PIN and complete their transaction. 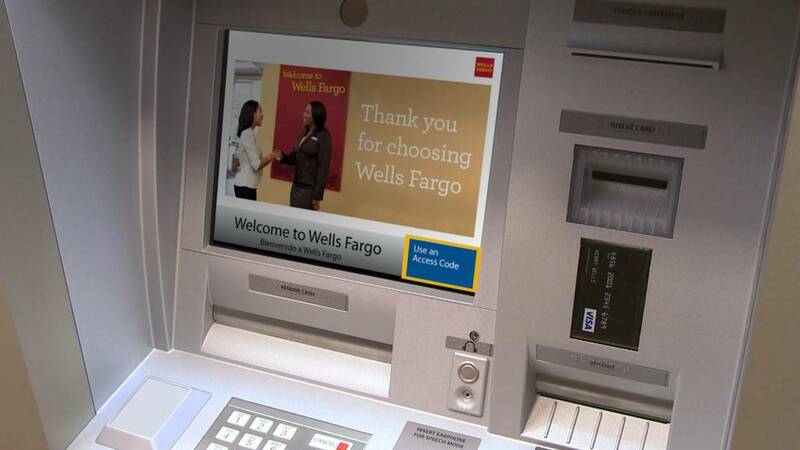 More than 40 percent (more than 5,000) of Wells Fargo ATMs are currently NFC-enabled. JPMorgan Chase and Bank of America are among the national banks who have announced similar upgrades to their ATMs but have yet to roll them out across the country. Of Wells Fargo 321 ATMs statewide, there are about 180 in Southern Nevada, Clausen said. There are 80 Wells Fargo branches in Southern Nevada, and many have more than one ATM. Others are at various airports, including McCarran International Airport. Bank cards are required for after-hour entry for about 10 percent of Wells Fargo branches, Clausen said.